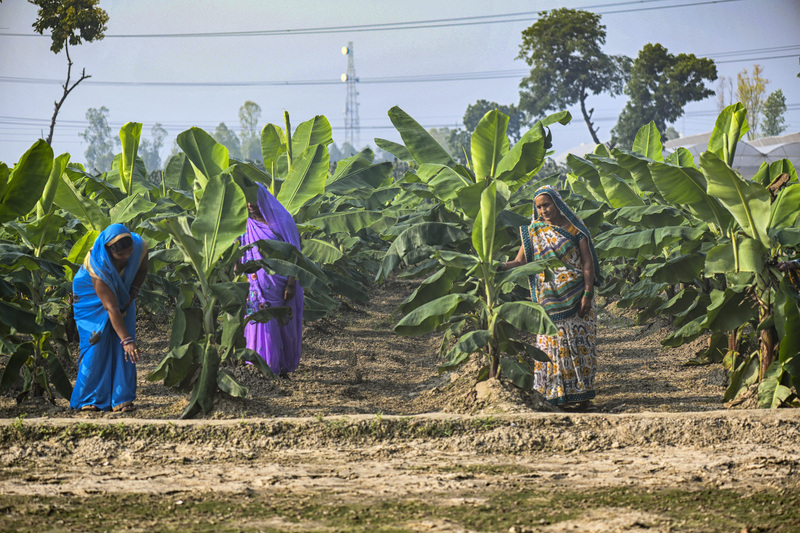 Lucknow, India, Sept. 27, 2018 – Walmart India and the Walmart Foundation today deepened their commitment to smallholder farmers in India. The Walmart Foundation, working beyond the Walmart India supply chain, will invest approximately Rs. 180 crores (US$25 million) to improve farmer livelihoods over the next five years. Separately, Walmart India will grow its direct sourcing from farmers to 25 percent of produce sold in its Cash & Carry stores over the same period. Smallholder farmers are the backbone of the Indian economy, with more than 50 percent of the total workforce employed in the sector. In an effort to improve food security in India and boost the overall economy, the Indian government has set an ambitious goal to double farmers’ income by 2022. The new funding from the Walmart Foundation expands its ongoing efforts to develop and scale strong farmer producer organizations to help raise rural incomes. The new funds will be used to support farmer organizations to develop knowledge of sustainable farming practices, share business best practices, add value to primary agricultural commodities and improve access to finance and markets. 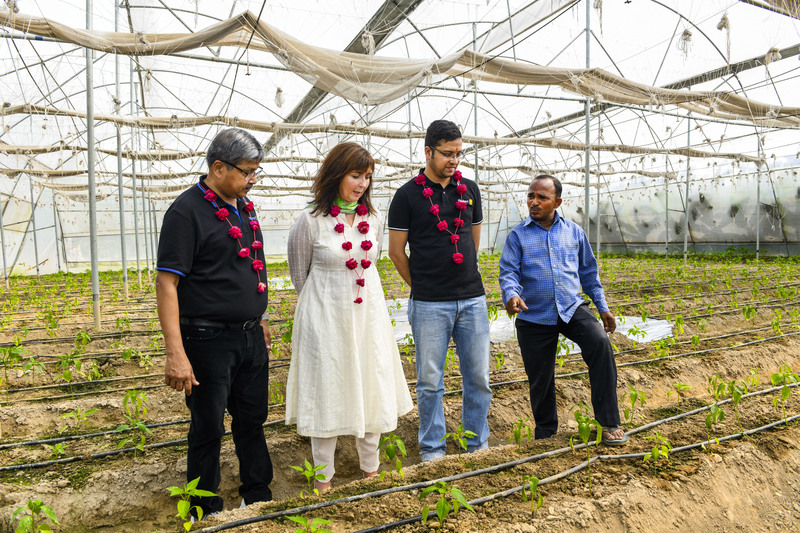 The Walmart Foundation will work with well-established non-government organizations to support farmer producer groups and develop best practices and demonstration sites that can be shared across India. The aim is to eventually empower multiple farmer organizations and connect them into a nationwide farmer-support network. In a separate bid to accelerate market access improvements and reduce transportation costs for producers, Walmart India has pledged to work towards sourcing 25 percent of produce in its Best Price Cash & Carry stores directly from farmers. It also will seek to source from a local farmer producer organization in every state where it has stores. Walmart sources 95 percent of the goods sold in its Best Price Cash & Carry stores in India from local companies and offers access to technical assistance and training programs to improve farming efficiency. The Walmart Foundation broadens this effort to address more systemic barriers that prevent farmers from increasing their productivity and market access. In 2017, the Walmart Foundation invested US$2 million in Tanager to implement the Farmer Market Readiness Project in India’s Andhra Pradesh State, providing farmers with the knowledge, resources and services to enhance their market-readiness and expand their reach. The US$25 million commitment announced today includes a recently announced grant of close to US$2 million to support International Crops Research Institute for the Semi-Arid Tropics (ICRISAT) to help smallholders generate more income. Further reinforcing Walmart’s commitment to India, in August the company completed its investment in Flipkart group. This supports the growth of India’s economy as the company creates new jobs and business opportunities through strengthened supply chains, local seller development and access to global markets. By using our strengths to help others, Walmart and the Walmart Foundation create opportunities for people to live better every day. Walmart has stores in 28 countries, employing more than 2.2 million associates and doing business with thousands of suppliers who, in turn, employ millions of people. Our philanthropy helps people live better by supporting upward job mobility and economic development for the retail workforce; addressing hunger and making healthier, more sustainably-grown food a reality; and building strong communities where Walmart operates and inspiring our associates to give back. To learn more about Walmart’s giving, visit http://giving.walmart.com/foundation.